The book of Ruth is perhaps the sweetest story of love and devotion found in the Old Testament. The story is first centered on Naomi, a tragic character facing a desperate life following the death of her husband and both of her sons. Left in a distant land with only two young daughters-in-law it seems she is destined for poverty. Instead, a surprising turn early in the book brings love devotion and the continuance of the line of Jesus Christ Although Naomi is the first of the main characters to appear, she is soon joined by Ruth and by a kinsman named Boaz. After the death of her husband and her sons she prepares to return from the land of Moab to Israel. While her daughters-in-law are prepared to follow her Naomi releases them from any obligation they may feel (Ruth 1:8-13). One daughter-in-law goes back to her home but Ruth “clung to her” (Ruth 1:14). It is here we find what is the best known passage from book. It is often used in marriage ceremonies because of its rich devotion but it is actual spoken between Ruth and Naomi. “But Ruth said, ‘Do not urge me to leave you or to return from following you. For where you go I will go, and where you lodge I will lodge. Your people shall be my people, and your God my God. Where you die I will die, and there will I be buried. May the LORD do so to me and more also if anything but death parts me from you.’ And when Naomi saw that she was determined to go with her, she said no more.” (Ruth 1:16-18). This is a great message of love. Ruth is willing to leave her nation, leave her people and discard her future all for the love of her mother-in-law! Not to allegorize too much but one could learn much about the love Christians ought have for Jesus. Would we be willing to leave all that we know for an uncertain future that is certain to include hardships and struggles? Upon their return to Bethlehem Naomi guides Ruth to a meeting with a kinsman, Boaz. 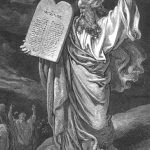 She also guides Ruth through the Israelite redemption process in which Boaz is able to claim both the land of Ruth’s late husband and even Ruth herself. There are at least two key topics that easily present themselves in this book. An astute student might identify more. First is the story of deep and abiding love. Relationships are prominent here. Naomi and her daughters-in-law, Naomi and Ruth, Ruth and Boaz. All are marked with genuine love, caring and devotion. Even the relationship between Naomi and her other daughter-in-law, Orpah, speaks of great love and concern. Especially in the case of Ruth and her love for Naomi we see a sacrificial love so rare in present day relationships. There is a permanence there which we should seek for. Second is the providence of God. There are no actual miracles here. All that happens occurs within the common laws of nature. Yet the power of God is never far from the page. It is not until the very end of the book that we learn of the importance of the Ruth/Boaz marriage. It was through that marriage that Christ would come (Ruth 4:17-22; c.f. Matthew 1:1 ff). All through the Moabite struggles, the death of the men, the return to Israel and the events of the redemption, God is carefully guiding and bringing his plans to fruition. Only by the Divine Hand can such a beautiful event be created. The events of Ruth occur in the days of the Judges (Ruth 1:1). 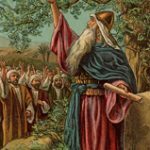 Authorship however was likely at least in the Davidic reign if not later because of the genealogy in Ruth 4:18-20). Gleason Archer suggests that a later date is unlikely because Solomon would have almost certainly been mentioned. Actual authorship is a challenge because the book makes no claim nor offers any hint as to the author. 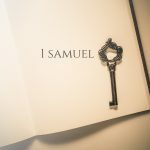 Historically Samuel has been posited as the writer but at best that is speculation. This is a rich book and at only 4 chapters is a fast read. It’s well worth it!